Here are three of the 2 Page Style 2015 Blank Monthly Calendars. The standard size is by far the top selling size. 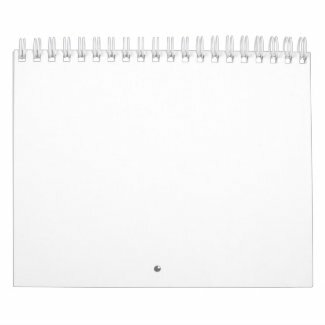 These are the lowest possible price on Zazzle. The first one shows the Large Blank Calendars, completely opened the calendar is 14.5 inches wide by 22 inches tall (My daughter bought us the large size). The standard size, opened is 11 inches wide by 17 inches tall (best selling size. Fits nicely on the inside of a cabinet door). The small size is 7 inches wide by 11 inches tall. I recommend the Huge. It isn’t that big. I consider it LARGE. Call me, Linda, 239-949-9090, if you would like me to HELP or Customize your calendar for you at no added charges. Email me with your pictures or company logo. I can add text to some or every month, make collage pages for you etc. I will do some basic Photoshop adjustments if you wish. Please allow a few extra days for custom orders. Zazzle Black will give you Zazzle Free Shipping for ONE Full Year is $9.99. Free 30 Day Try It Period. I am on my second year enjoying Zazzle Black Free Shipping. I can send gifts all over the country with Standard FREE Shipping. It doesn’t cover premium shipping. I LOVE it and highly recommend it. It will pay for itself in only two orders or less. Zazzle will send you a reminder email before your year is over to remind you to cancel if you choose. So much better than having to remember with many automatic yearly programs. Easy Custom Calendar Templates to Upload YOUR PHOTOS and TEXT. AMAZING Quality Detailed Printing on Quality Semi Gloss Paper. Create a memory that will last and last. High quality Acid Free Printing lasts longer so you can cherish you photo calendar and pictures for years to come. Frame them at the end of the year. Look for the Bulk Discounts for Quantities starting at only 2 and up. The more Blank 2015 Calendars or Custom Photo Calendars Bulk you purchase, the higher the the discount and less you pay. Choose ANY starting Month and Year. 12 Month, 18 Month and 24 Month Blank Calendars. You can choose your Wire Color and Style of the Calendar month. 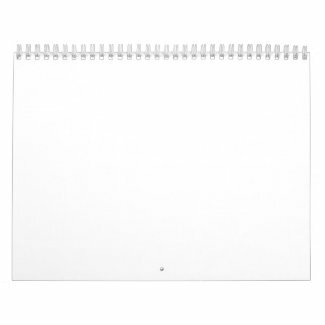 Make a beautiful Customizable Calendar right at Zazzle or just buy it plain. See the INSTRUCTIONS on How to Make a Calendar with Your Own Pictures, below. It is so much fun making the calendars. You will be smiling a good deal of the time. You can drag and move your photos around to get the right placement and you don’t even need to crop it. Just drag it larger than the page. This is truly starting with a blank canvas. I created really nice 2014 Calendar Templates if you would like some extra backgrounds and such. I was given my calendar for Christmas from my daughter and her family. The Zazzle Calendars are amazing quality and printing. They gave me the LARGE Wall Calendar. (I added their family photos to the Blank Monthly Calendars, for them to give to all of us for Christmas). I am so impressed. The paper is a semi gloss paper with the most incredible printing quality you’ve ever seen. The detail is exquisite. My daughter and her family loved the calendars so much, they wanted to give his parents the calendar while I could see their reaction. Everyone was so impressed. It was so much fun listening to everyone talking about every month of photos, laughing and the memories. They were also very impressed with the Superior Quality. I can’t tell you how excited I am about selling such a quality products. 2015 Blank Calendars have many options. Read the Directions to see how to Start Any Month. Briefly, Click the tiny blue words “edit in design tool” and “edit” to Choose your Starting Date and Your Ending Date up to 24 month calendars. See the other options here as well. Within the 1. “Personalize it” box, Click the blue word “Change” and follow prompts to Upload YOUR PHOTOS for each month. Choose your Style choice in the 2. “Styles Options” area, your Wire Color and by clicking on the teeny tiny blue “edit” you can choose ANY Starting Date Calendar and a large selection of Calendar Month Styles too. Select the START and END DATES. You can choose 12 Month, 18 Month and 24 Month Calendar style. 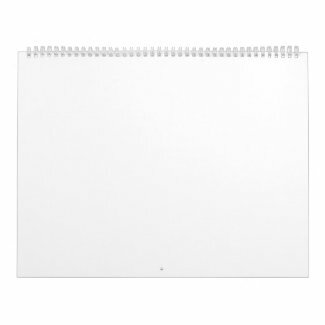 Choose the basic style and layout plan to make your own 2014 calendar. Customized calendars 2013. Click on the “Customize it” Blue Button, then the “Add Image” Button if you have Artwork or Photo. Follow prompts to Upload Your New Images. To ADD Messages, Click the blue “Add Text” Button. Type your Phrase or Name or ??? in the Text Boxes. Click the “f” button to Change FONT STYLES, the little Color Box to change the Color of the Font and the Size Box + or – to make the Font Larger or Smaller or Type a different Size Font in the tiny box. To DELETE TEXT: Click “Customize it Button” In the “1. Customize it Box” . Click the “X” to DELETE that Phrase or ADD Your Own Phrase, Name, Scripture or Special Message, Click on the “ADD TEXT” and Highlight “Add Your Photos 2013 Calendar” and Change it to Your Own Phrase. Any of the Images you see can be removed and replaced with your image or Text. In the “2. Box” Area: “Choose your Style”. Choose the Calendar Single or Two Page and Sizes Small, Standard and Huge. You can also choose the color of the Wire. Click the tiny blue word “edit in design tool” to Select a One or Two Page Calendar, the Size – Small, Standard or Huge and choose a different Calendar Month Style Grid, Choose your Start Date and End Date. (or you can just leave the default choices already selected for you – White Wire, 2 Page Calendar, Standard Size with the basic Grid for the month. This is likely what most people purchase). Choose How Many Calendars you would like and ADD to Your Cart. Within the “1. Personalize it Box:” (to the right of the 2014 Calendar). Click the Tiny Blue Word “Change” below each Month. Repeat for Every Month including the COVER of the 2014 Personalized Calendar. Click the teeny tiny blue word “edit” which is located underneath the color boxes. Click on the First Drop Down Box to choose the First Month of your personal calendar and the Second Drop Down Box for your last month. This is where you can make 1 month to 24 month calendars. Click on the little round select buttons to choose the style of your 2014 calendars. Classic Frameless is shown. Choose the basic style and layout plan to make your own 2014 calendar. Customized calendars 2014. Click on the “Customize it” Blue Button, then the “Add Image” Button if you have Artwork or Photo or “Add Text” Button. I LOVE, LOVE, LOVE my Zazzle Custom Photo Calendar. The amazing Printing and Heavy Quality Paper create Brilliant Detailed Photos for special memories that you will want to frame or keep as a keepsake. These make great personalized Christmas Gifts for people who have everything. Blank Monthly Calendars Bulk Discounts start with the purchase of only Two 2015 Calendars with discounts increasing with volume purchases but No Minimum is required. With Zazzle’s easy to use Blank Monthly Calendar Template 2015. I hope you enjoy your personalized photo calendars as much as I do. Be sure to hang it in a place that will show off your family and that you will see everyday. Great way to start your day seeing your precious grandchildren, children, friends and family. Highlight special occasions and coordinate your pictures to the month the special occasion happened. Put a birthday photo with that person’s birthday month. How about holiday celebration pictures, back to school and momentous graduation photos. Please let me know if I can help you in anyway. I can place your photos for you and add text and your name too. Bulk discounts start with only 2 calendars and the Bulk Calendar discount is larger as you purchase more. Compare the dull images to the vibrant beautiful Zazzle pictures. The dull images are from a professional photographer. It lost so much of it’s luster and vibrancy. Zazzle’s images on the above calendar are so much crisper and vibrantly detailed.